These gift bags are the perfect things to make at home. 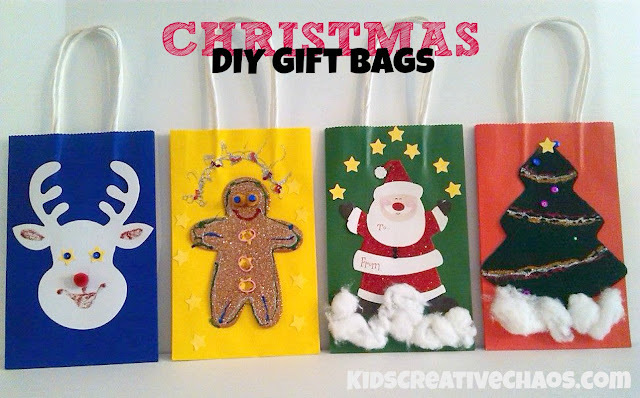 Purchase plain bags at deep discount and then do these DIY Christmas Gift Bag Ideas to personalize them for friends and family. Whether you decorate with a Christmas Tree, Santa Claus, Reindeer, Elf, Gingerbread Man or even a Star of David for Hanukkah, these bags are sure to get a smile. Enjoy! Diy Christmas Gift Bag Ideas to make at home. 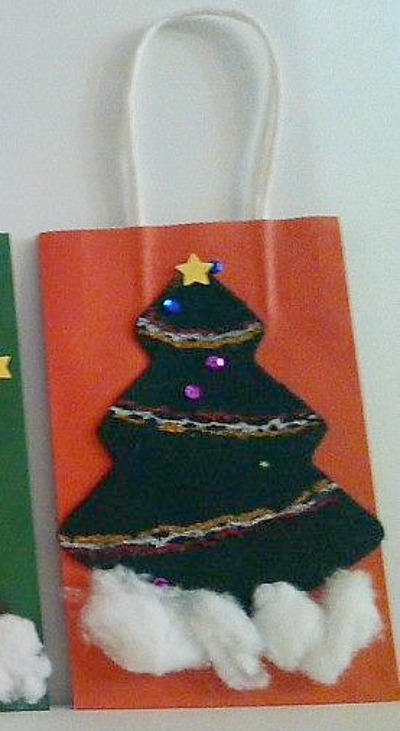 DIY Santa Gift Bag Decoration. 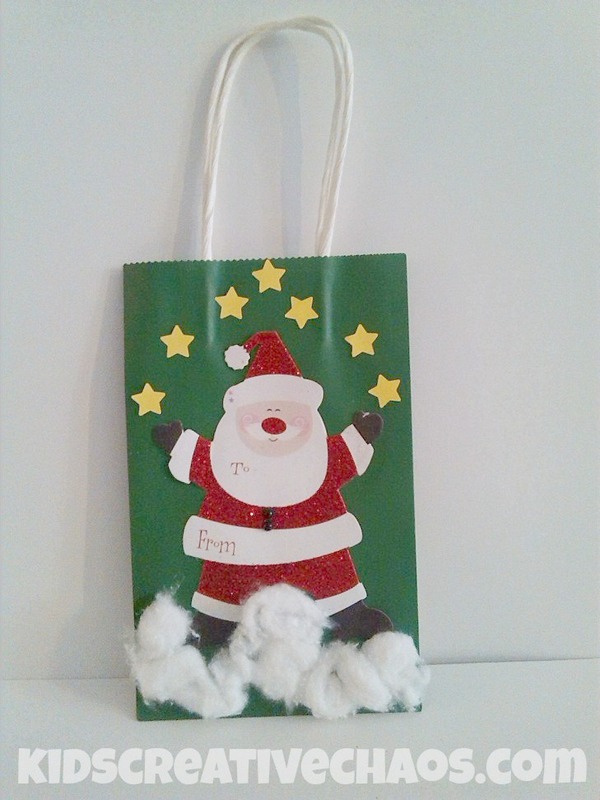 For this Santa Claus gift bag, we used an oversize gift tag, sticky stars, and cotton balls. Total Cost is under 25 cents! We bought the tags and bags in bulk. 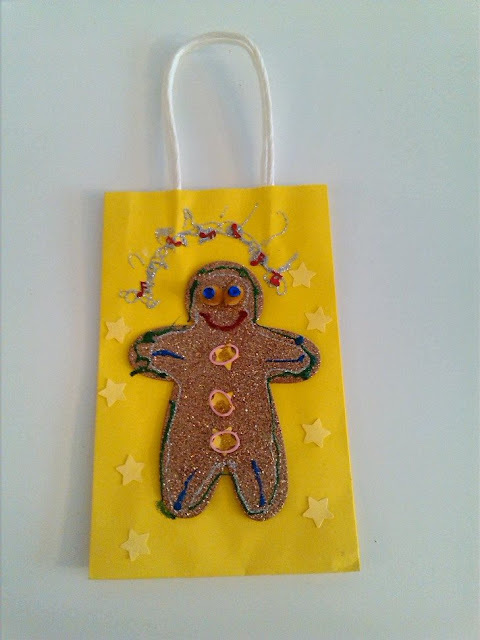 Gingerbread Man Craft Decoration for a DIY Gift Bag. This Gingerbread Man is a foam form that came in a pack of 100 different holiday characters. We added glitter glue, mini pom poms, and sticky stars. 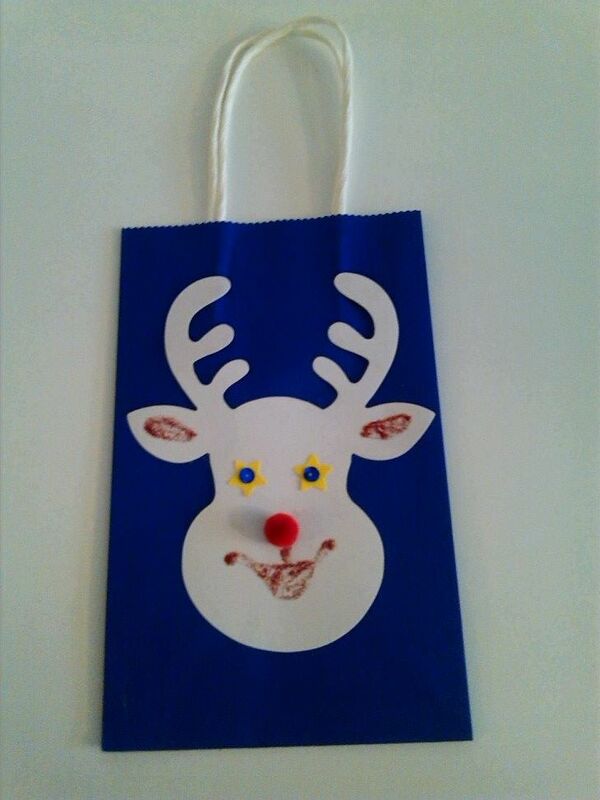 DIY Reindeer Gift Bag Idea Craft. Rudolph the Red Nosed Reindeer is a cardboard cut out. We bought them in packs of 50 at Michael's. They make great traceable patterns for kids. The tree below is traced from the Christmas Tree pack. We added glitter glue, sticky stars, and mini pom poms. Christmas Tree Gift Bag Craft Idea. Trace a Christmas Tree on felt and cut it out, add some glitter glue and sticky starts and then pop on some cottonball snow to make this gift bag decoration.